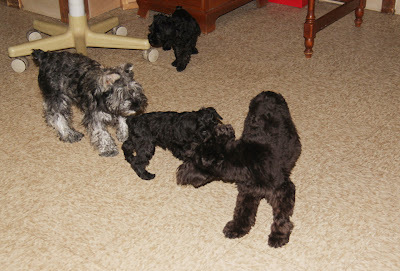 Miniature schnauzers - information about the breed, breeding, training and grooming by Shazzam of Oz Miniature Schnauzers. Photos, videos and more. BEFORE You bought Your puppy. Meanwhile in Duncannon there is a lot of different commotion going on. "going home", therefore all they want to do - play, play, play! Phoebe who is spending here her vacation is participating too. of firewood. 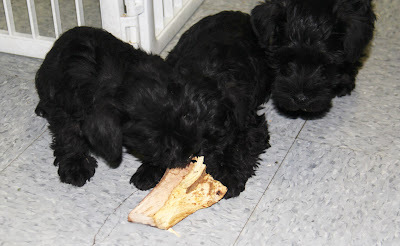 Every time my dogs can get their teeth on a log, they do so. Puppies, how You can see are no different. and no naps. Oh well!.. This is a privilege of being a human. I was thinking for a while to start blog about our schnauzers, but I only have so much time to do it all.... therefore I was putting this project for later time after time.Finally I came to conclusion that it takes significantly more time to repeat the same information to every person who is interested about "how-to" we raise, feed, groom etc our dogs. And then (most disappointing part) after you explain it all, people have tendency to forget it. So, I have to put it in writing what will allow you to go back and refresh it. Or even better - ask some questions, if you have any. I will try to put all our posts on different pages, too keep topics separately and easier to access. Hopefully something good will come out of this new project. Updates on 3 week old puppies. Updates on 4 week old puppies. 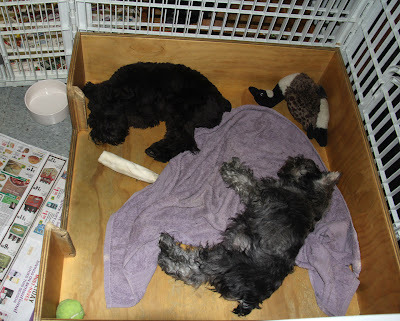 4 weeks old schnauzer puppies - follow up! Update on New Born puppies. Our "guest-bloggers" out of previouse litter from Leila and Timmy. Puppies are growing (2 weeks old). Lacya's 2013 litter is week old. 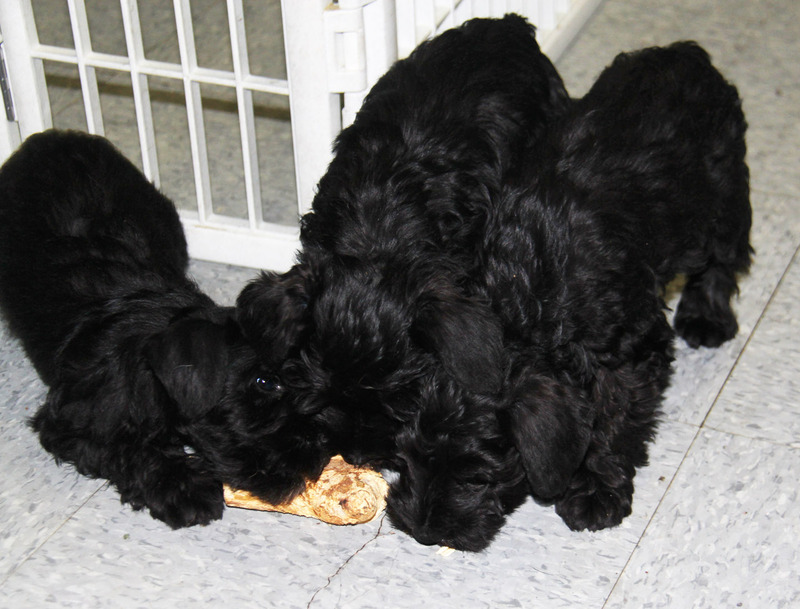 Lacy's pups are MONTH old! "Bearded One" Oil painting by Tatiana Myers. Kaleidoscope of Leila's babies pictures. In is sunny day in... Pennsylvania!